For decades the lands of the Ironship Syndicate have been defended by the ‘blood blessed’ – men and women able to channel the powers contained in the potent blood of wild drakes. Elite spies and assassins, their loyalty has established the Syndicate’s position as the greatest power in the known world. Yet now a crisis looms. The drake bloodlines are weakening, and war with the Corvantine Empire seems inevitable. The Syndicate’s only hope of survival lies with the myth of a legendary drake, whose powerful blood might just turn the tide of the war – if it even exists. The task of hunting down this fabled creature falls to Claydon Torcreek, a petty thief and unregistered blood blessed. He’s handled many valuable things in his time (most of them illegal) but nothing as priceless as his nation’s future. The Waking Fire is due to be published by Orbit Books in July 2016. Anthony Ryan’s Blood Song was published to much fanfare in the middle of last year. For some reason I didn’t actually get around to reading it. I think this was a combination of everyone else talking/writing about it, and because I can be difficult, this made me want to delay reading it. Also, I think I got it during a protracted SFF reading funk that I was going through at the time. Vaelin Al Sorna is tired of war. He’s fought countless battles in service to the Realm and Faith. His reward was the loss of his love, the death of his friends and a betrayal by his king. After five years in an Alpiran dungeon, he just wants to go home. Reva intends to welcome Vaelin back with a knife between the ribs. He destroyed her family and ruined her life. Nothing will stop her from exacting bloody vengeance – not even the threat of invasion from the greatest enemy the Realm has ever faced. Yet as the fires of war spread, foes become friends and truths turn to lies. To save the Realm, Reva must embrace a future she does not want – and Vaelin must revisit a past he’d rather leave buried. 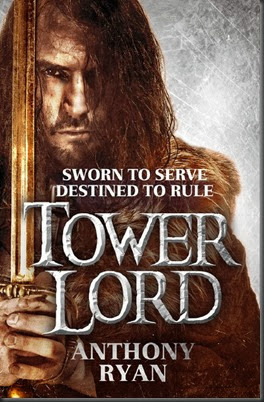 TOWER LORD will be published on July 3rd 2014 in hardback, trade format and eBook, in both the UK and US. Anthony Ryan can also be found online at his website and on Twitter. On a somewhat related note – I’m actually way behind on reading Orbit titles. 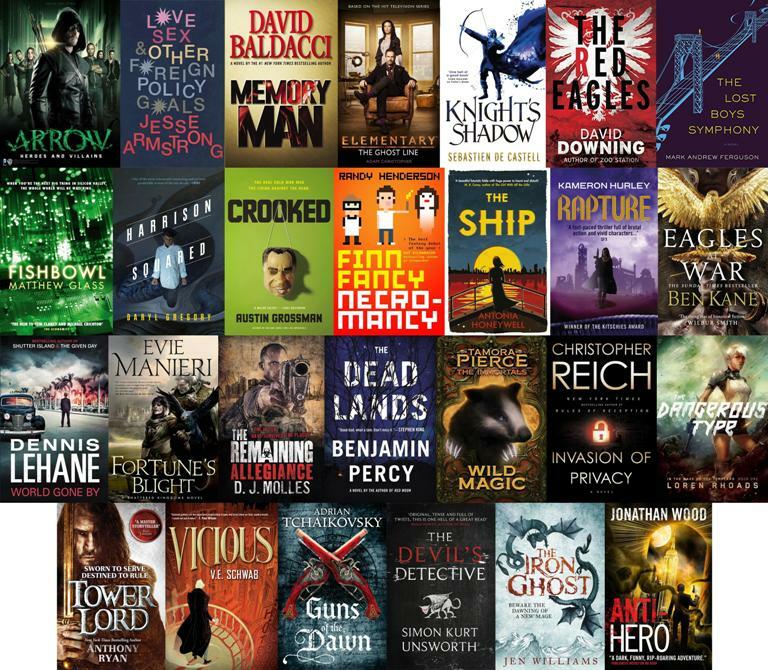 I love Orbit’s roster of authors, and have been reading them voraciously ever since I got my mitts on Brent Weeks’s Night Angel trilogy, back in 2008 – a series that I absolutely loved. I must get caught up! Expect more to feature in the coming months.